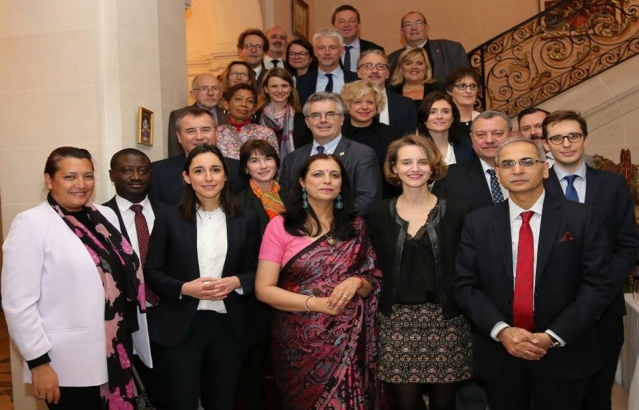 A reception was hosted at India House in honour of Indo-French Friendship Group of the National Assembly on 07 February. 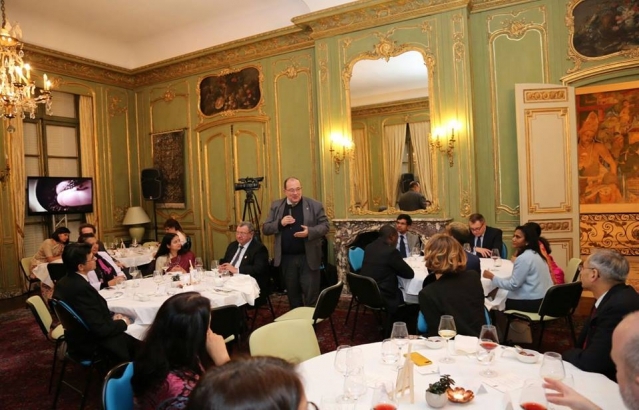 Speaking on this occasion, Ambassador of India Mr. Vinay Mohan Kwatra commended the ongoing comprehensive cooperation between the two countries and expressed hope that the forthcoming visit of French President Macron to India will further strengthen bilateral relations. 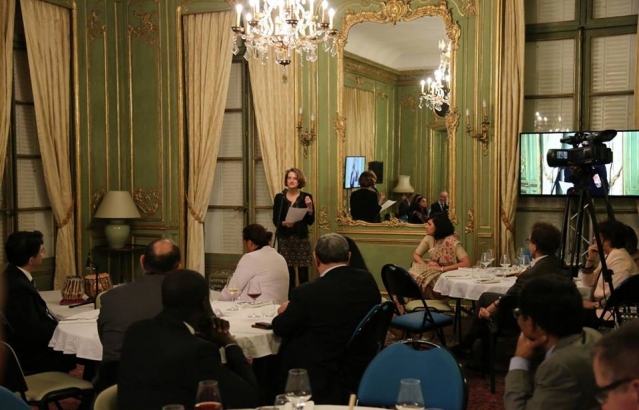 President of Indo-French Friendship Group Ms. Céline Calvez said that both countries possessed immense potential for partnership in different areas. Ms. Brune Poirson, Minister of State, Ministry for the Ecological and Inclusive Transition also participated in this delightful interaction. 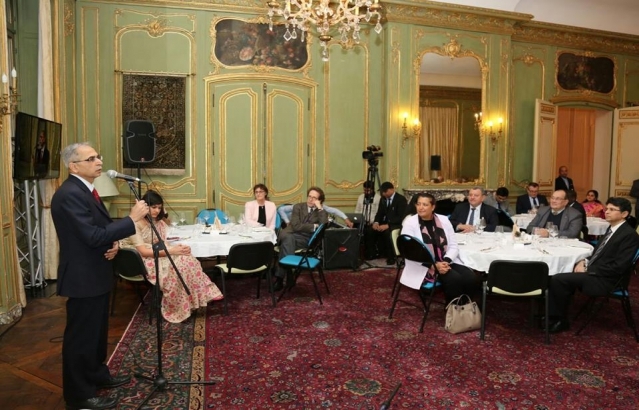 Noted musicians Mr. Anuvab Chatterjee on Tabla and Mr. Guillaume Barraud on flute entertained the guests with Hindustani classical music during this event.